"I have had the pleasure of working with Angela and she is just fantastic ! And by fantastic I mean extremely gifted at what she does and so very warm and generous with her time and her love. I've never worked with someone who actually checks back with you to see how you are doing ! She recently gave me a healing that worked so well I was able to go to work that day despite being very sick. She poured golden energy into my sick body and it felt soooo good! ( this was long distance, on the phone, by the way) She has helped me with readings and direction for my life via skype. I've also done classes with her and a retreat weekend that really opened me up to the life and abundance that is possible. Do not wait - sign up for a class or a personal session or retreat ! Her energy is so warm and genuine, and you will learn a lot - I know I did. There is so much love and guidance waiting for you. Angela thanks for coming to my home and doing a dowsing. It was a great experience. My house is very calm and peaceful. Love the Palo Santo wood, I am going to have to find the incense to burn all the time. Thanks again for the Dowsing! You really helped me find clarity in something that has been consuming me. You reminded me that anything is possible and it doesn’t have to follow any certain rules. You were able to help me understand the blocks I currently have and what I need to work on. Also, your connection with my guides and the extra things you picked up was truly a gift to me from your own gifts and talents. This meditation retreat was spiritually, emotionally and physically healing. Tremendous class! Mind expanding and thought provoking! Love the different types of techniques taught. I definitely recommend it. Art class. 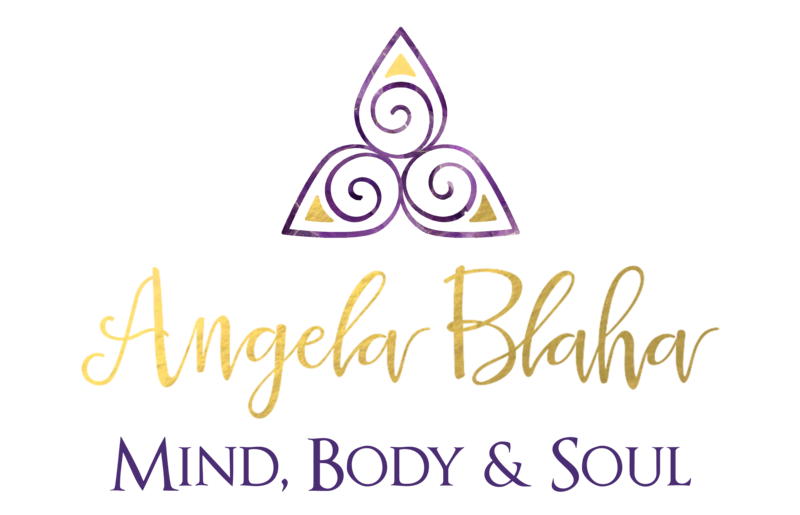 Thank You Angela Blaha! What a wonderful gift to give yourself!! Life changing, empowering, and magical! The Soul Family Retreat was a life changing experience for me. Angela knows who needs to be there with you for this journey in order to make you feel safe and loved the whole way through. She guides you through your own blocks & helps you release them. Angela doesn't do it for you but helps you discover how to do it for yourself so you leave feeling empowered. She helped me see, feel and ultimately be the woman I was meant to be.